Wishbone Day: 6 Days to go! and the launch of our Why is Wishbone Day Important Poster Series! 6 Days to go! 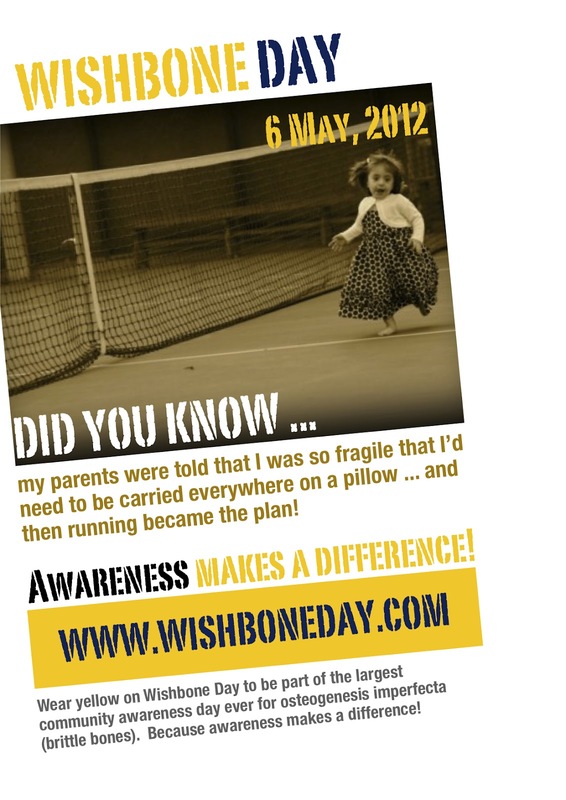 and the launch of our Why is Wishbone Day Important Poster Series! 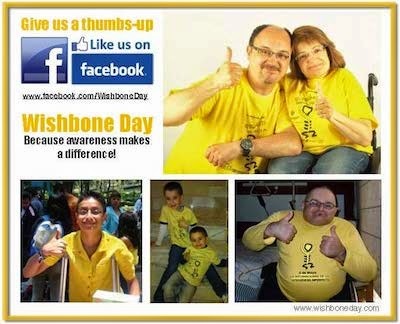 Over the next few days Wishbone Day will release the 'Why is Wishbone Day important?' poster series to show why awareness makes a difference. The posters are of real people, telling real stories. Share them. Because awareness makes a difference! Are you ready for the largest community awareness day ever for Osteogenesis Imperfecta (OI or brittle bones)? The 'Why is Wishbone Day important?' poster series show why awareness makes a difference. The posters are from real people, telling real stories.